Our Doctors of Chiropractic and other well-trained professional staff members are equipped to help you achieve total wellness here in our Canton Chiropractic office. Click here to learn more about our natural health care techniques. Dr. Powell graduated from National College of Chiropractic, Lombard, Illinois in 1970. He is a Diplomat in the International Board of Applied Kinesiology and was selected as a fellow in the International Council of Chiropractors and the F.A.C.C. . He is certified in Rehabilitative Exercises, from the University of Florida, College of Medicine, and the Department of Health and Human Performance. Dr. Powell holds licenses in Ohio, Florida and California. 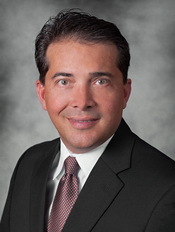 He has held Chairmanships in Local, State and National Chiropractic Associations. He is past president of the Ohio State Chiropractic Board, serving in that position for 8 years, and now serves on the New York Chiropractic College board. Dr. Powell serves his community on various boards and has served on the board of Trustees of Malone University for 15 years, four years as the Chairman. He also served as a board member of the Total Living Center in Canton that feeds, assists and ministers to the poor. Dr. Powell conducted seminars for Chiropractic Colleges assisting the outpatient clinics in providing nutritional services for their patients. He has been published in several chiropractic publications, and has received special awards for his accomplishments within the chiropractic profession. 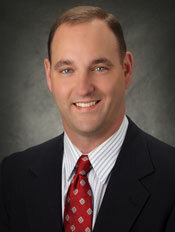 He also has served as a consultant for special projects with Standard Process in Palmyra, Wisconsin for over 10 years. 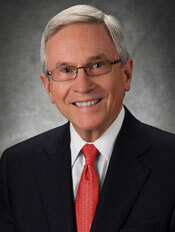 Dr. Powell has been married to his wife Donna for over 50 years. Dr. Jim graduated from Parker College of Chiropractic, Dallas, Texas in 1993. His postgraduate education includes training in International College of Applied Kinesiology, Pediatric Chiropractic Treatment, Acupuncture, and Rehabilitation. He has studied cranial therapy which provides great benefit for infant and children’s health as well as those suffering head injuries. Dr. Jim is certified in Rehabilitative Exercises from the University of Florida, College of Medicine, Department of Health and Human Resources. Dr. Jim has held numerous Local, State and National Chiropractic Association memberships and is serving in leadership positions.He currently serves as a board member of the Total Living Center in Canton. He also served as the Scoliosis Chairman of the Ohio State Chiropractic Association for insurance. He has received special awards for his accomplishments in the Chiropractic profession. Dr. Jim enjoys being active outdoors and spending time with his three children, Jimmy, Jonathon, and Joy. Dr. Null graduated from New York Chiropractic College, Seneca Falls, New York in 2000. He received his Bachelor of Science from The Ohio State University. Dr. Null’s Postgraduate education includes training in Kinesiology, Evaluation and Treatment of Common Sports Injuries. He is certified Kinesiotaping for acute injuries and Pediatric Chiropractic Treatment. He holds memberships in Local, State and National Chiropractic Associations. He is also certified in Kinesio-Taping for injuries. Dr. Null is married to Heather and has three children, Julia, Molly and Charlie. Robert D. Powell has served as the Director of our Health Wellness Center in Functional Nutrition since 2003. He is a Board Certified Naturopath and is a registered Naturopathic Diplomat. He specializes in nutritional counseling, diet and weight loss programs, whole food supplementation, herbal and homeopathic remedies, Meridian Stress Assessment, and Zyto technology. Dr. Powell consults with patients to assess nutritional needs and personal goals as well as supportive care. We offer a variety of laboratory tests, computerized testing of acupressure points, bio impedance, and physical and nutritional examinations including saliva and urine. Dr. Robert and Dr. James Powell have conducted continuing education seminars for a variety of healthcare professionals throughout the country. These include chiropractors, naturopaths, medical doctors, dietitians, and nurses. These programs were implemented to aid practitioners in providing better, more effective nutritional care for their patients. Currently serves as a consultant for Standard Process, whole food nutrition company. Dr. Robert works with our staff doctors to ensure that our patients receive the most appropriate and safest healthcare naturally. Dr. Robert has three daughters, Grace, Emily and Addison. When not busy running between his daughters activities, he enjoys everything nature has to offer: camping, hiking, gardening, biking, and taking jeep rides. 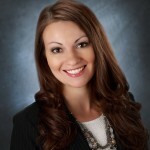 Chiropractor in Canton : Abbey M. Crouse, D.C.
Dr. Abbey Crouse graduated from Palmer College of Chiropractic in Davenport, Iowa in 2012. Prior to attending chiropractic college, she earned her Bachelors of Science in Biological Engineering from The Ohio State University. While at Ohio State, Dr. Abbey started her work and research in the fields of biodynamics, ergonomics, and biomechanics. Dr. Abbey provides chiropractic care to patients of all ages including babies and children, pregnant mothers, and athletes. She is certified in the Webster Technique by the International Chiropractic Pediatric Association (ICPA) and is a certified BirthFit Professional, helping women of all ages. Dr. Abbey is a Certified Chiropractic Sports Physician (CCSP®) and Titleist Performance Institute (TPI) certified healthcare professional; she is highly skilled in caring for sports-related injuries. She has advanced training in spinal rehabilitation and is certified in Post-Surgical Spinal Rehabilitation by the American Chiropractic Association (ACA) and the Laser Spine Institute. Additional continuing education programs and specialty techniques she has completed include functional rehabilitation therapy/FMS, soft tissue techniques (active release techniques, Graston/instrument assisted soft tissue mobilization (IASTM), trigger point therapy), Dynamic Neuromuscular Stimulation (DNS), RockTape/kinesiology taping, nutrition, and extremity adjusting. As a former high school athlete, golfer, dancer, and yoga enthusiast, Dr. Abbey encourages healthy, active lifestyles and appreciates how an optimally functioning body benefits performance as well as everyday life. Outside of the office, Dr. Abbey is involved in professional organizations. She holds leadership positions in national, state, and local chiropractic organizations and volunteer groups including Rotary International and Women’s Impact Inc. She is an active parish member at St. Michael the Archangel. Dr. Abbey and her husband Ray love being part of the active Canton Community! Chiropractor in Canton : Steve Henderson, D.C. Doctor Steve graduated from Cleveland Chiropractic College, Kansas City, MO in 1983 and completed his undergraduate education at Ohio University and the University of Cincinnati. In college his focus was on lower back pain, intervertebral disc injuries and flexion distraction treatment. His post graduate training has focused on nutrition , applied Kinesiology, manual muscle testing and rehabilitative exercises. Since beginning practice in 1984 he has focused on a full spine, family-oriented practice serving adults and children. 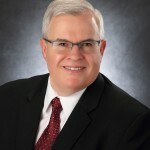 He hold memberships in local and state chiropractic associations and has served previously as the subcommittee chairman for the Protect Your Back Program for both the American Red Cross and the Ohio State Chiropractic Association. He has also served on the board for the Western Stark County Chapter of the American Red Cross. 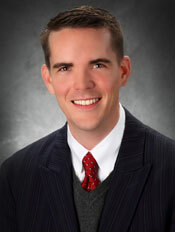 He returns to Powell Chiropractic after working with Dr. Powell Senior as an associate in the 90’s. He acknowledges the tremendous impact the experience of working with Dr. Powell has had on his practice and considers Dr. Powell to be his mentor. It is a pleasure to return home again and rejoin this great chiropractic practice and family. He resides with his wife Celinda of 27 years, who is a native of Peru. He speaks some Spanish and enjoys hunting and traveling with his wife. He has jumped from an airplane and lived to tell about it, but still has not decided if he will go with his daughter when she makes her jump. He enjoys joining again the active Canton community.